Keep tools organized and off the floor with this 5-slot tool holder designed for your E-track system. 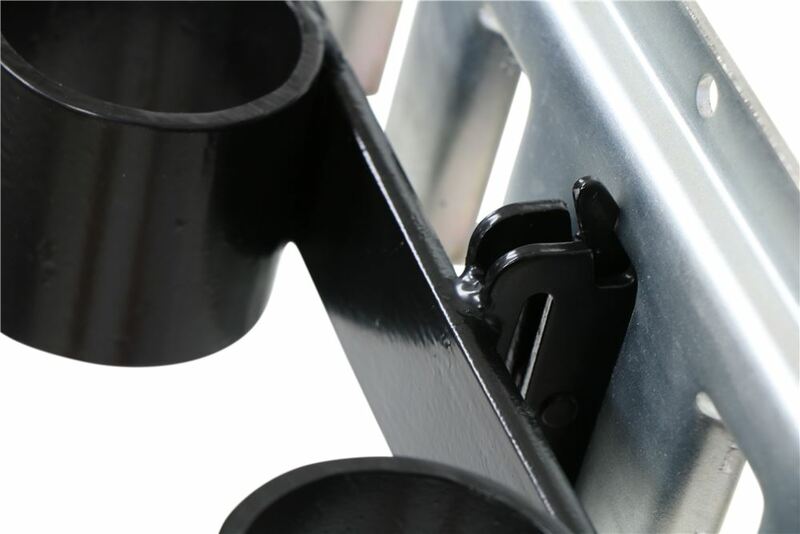 Sturdy, powder coated steel rack can be installed in your garage, shop, or trailer for easy access to your rakes, shovels, and other handled tools. 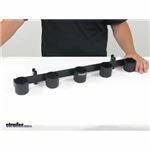 Call 800-298-8924 to order Brophy e track part number ETTH or order online at etrailer.com. Free expert support on all Brophy products. 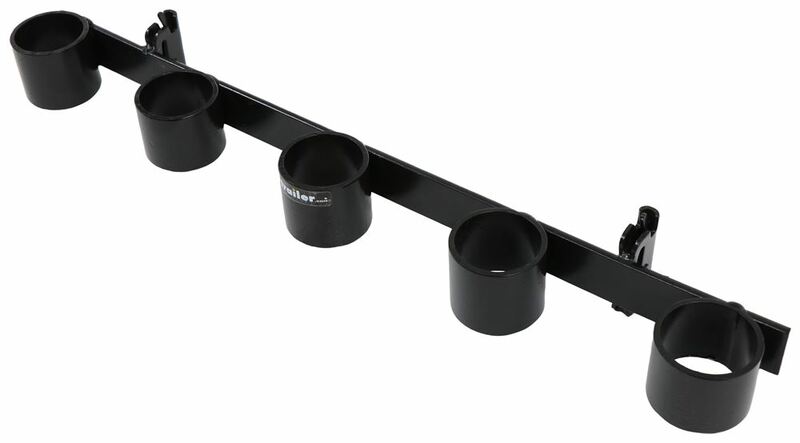 Guaranteed Lowest Price and Fastest Shipping for Brophy 5 Slot Tool Rack for E-Track - Black Powder Coated Steel. E Track reviews from real customers. Square holder attaches to your E-track and secures tools and supplies horizontally. 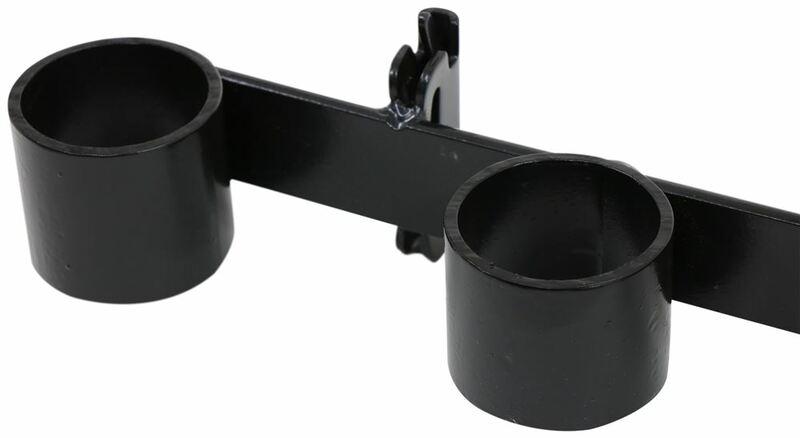 Ideal for holding tubing and other long equipment or supplies that may be too tall for a vertical holder. Speaker 1: Today we're taking a look at a Brophy five-slot tool rack for e-track systems. This versatile five-slot tool holder lets you neatly secure up to five rakes, shovels, or other straight-handled tools. 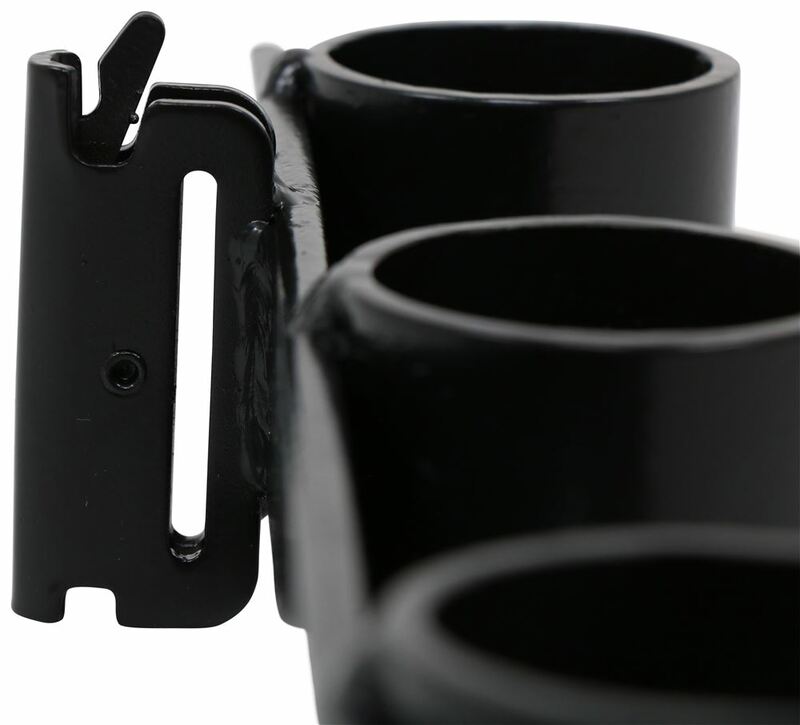 We have the spring-loaded fittings that snap into the anchor slots on the e-track. E-track is sold separately and available at etrailer.com, if needed.With this type of set up, there's no drilling required. 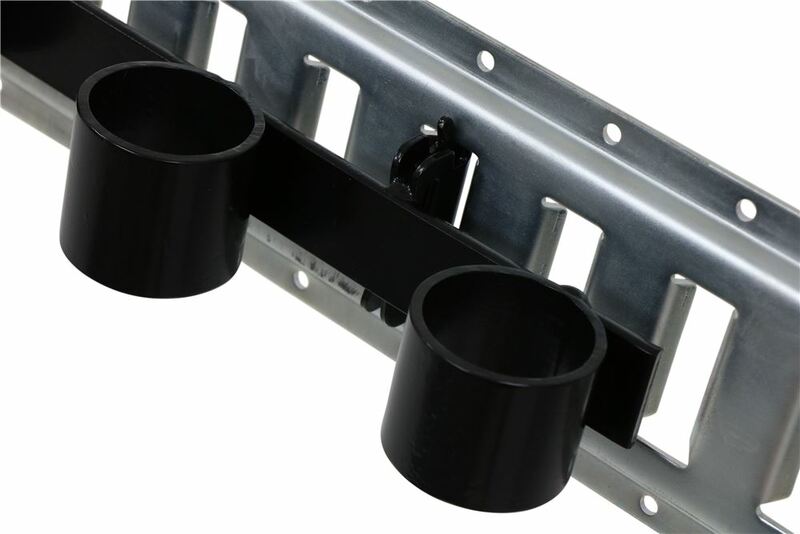 You can reposition the tool rack anywhere along your e-track system. 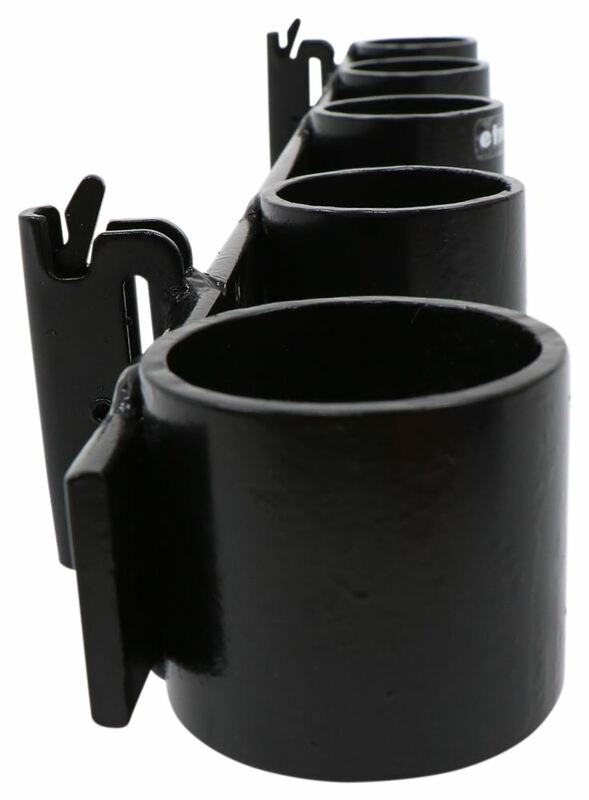 It's made from a durable steel construction and it has black powder coated finishing on it to resist rust and corrosion. The overall length measurement edge to edge measures 24 inches. 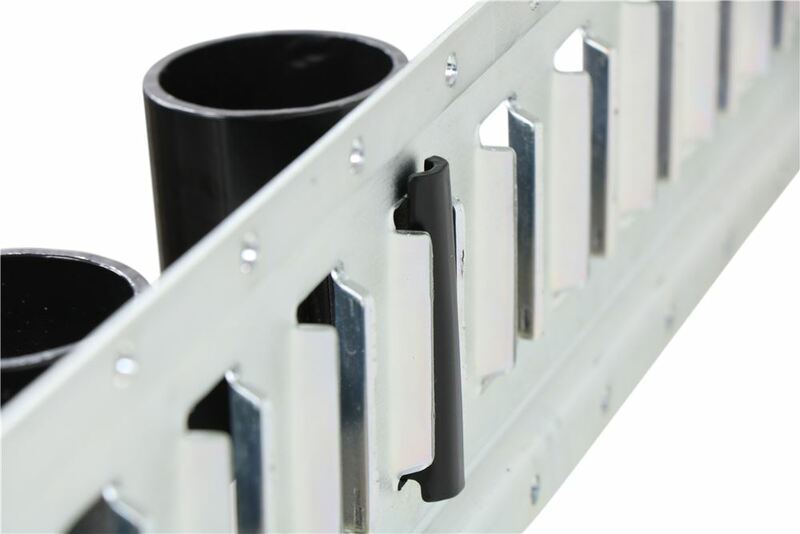 Each slot has an inner diameter of two inches and the fittings are separated on center by 16 inches. The product is made in the USA.That's going to do it for today's look at the Brophy five-slot tool rack for e-track systems.